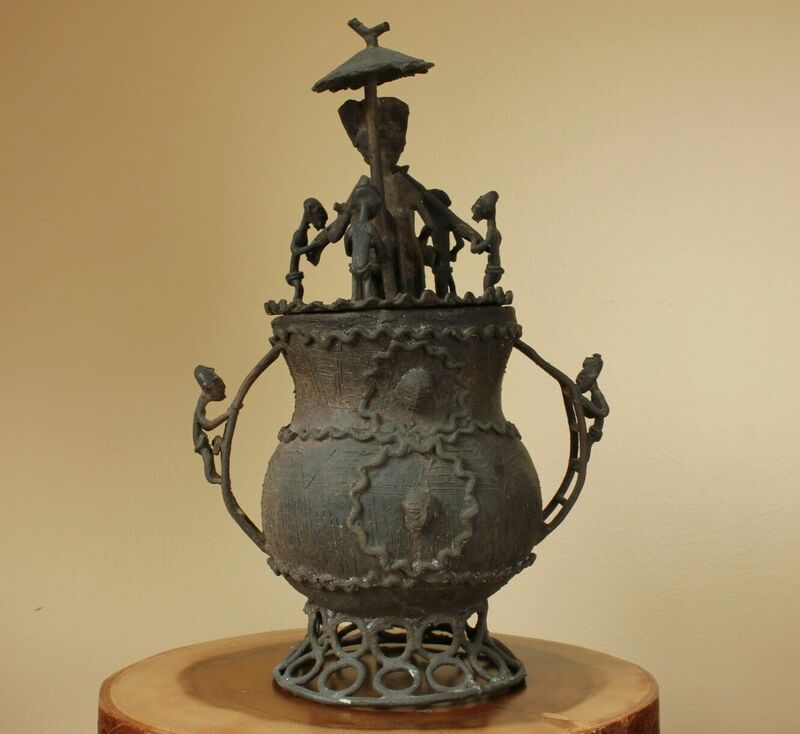 Ashanti Asante Cast Bronze Lidded Gold Pot / Tribal Kuduo from Ghana Africa. 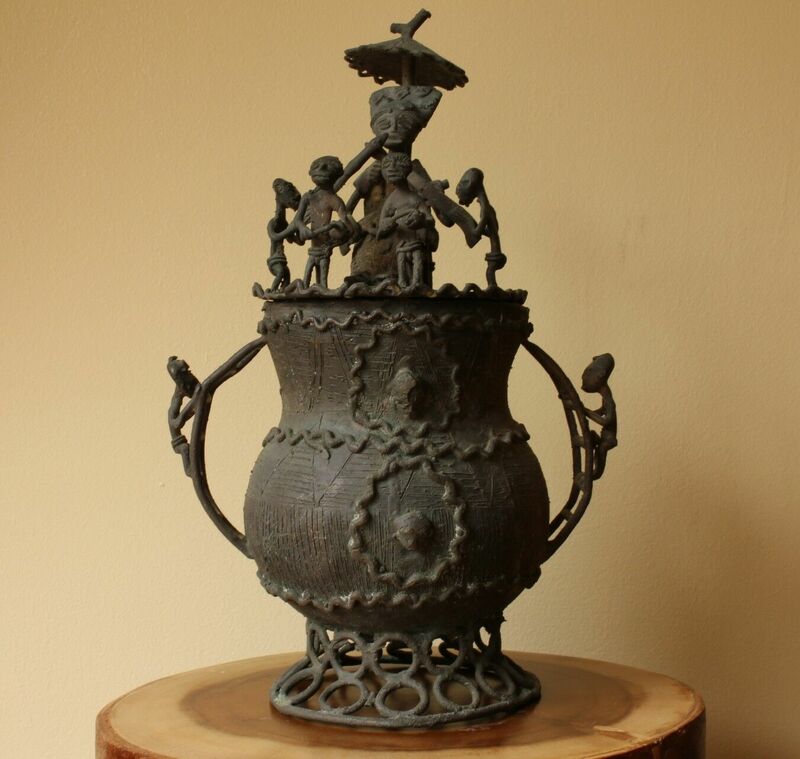 This wonderful African Ashanti / Asante lidded gold dust pot is made of heavy bronze and nicely cast with figures of a tribal chief with a rifle, servants and musicians. 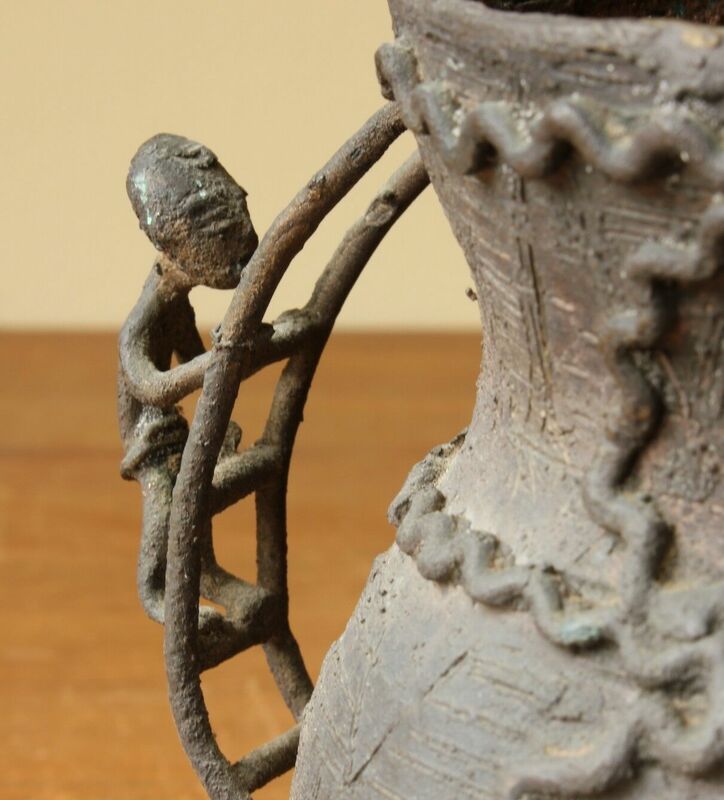 This interesting and rare piece has a wonderful patina, dates from the early 20th century and is a fine statement piece that looks stunning on display. 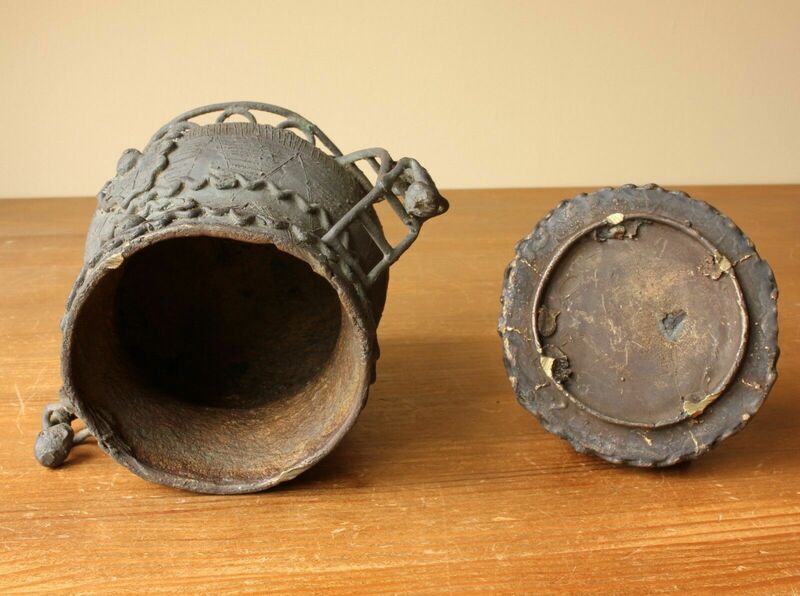 Gold dust pots which are also known as Kuduo were once used by the people of Ghana in which to store their valuable possessions such as gold dust. 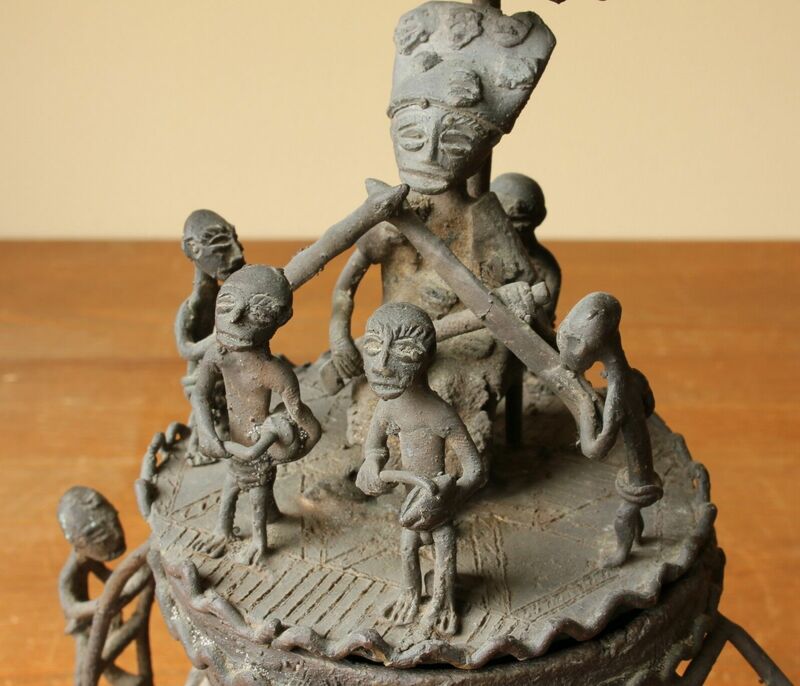 Each one is individually made using the lost wax method and is unique as the mould is damaged in the process of making the item. Date: Early 20th century - c 1920. Size: 30 1/2 cm (12") high approx. Condition: Very good used antique conditions with some signs of use in keeping with age. Has a wonderful dark patina which really shows the age well. 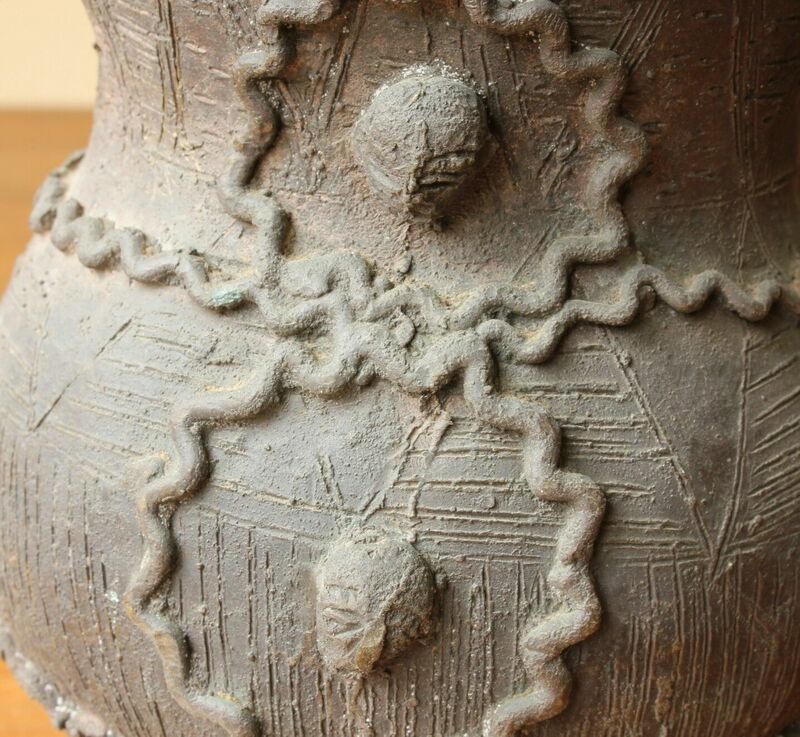 Some verdigris as expected on a piece of this age. Please see pictures.